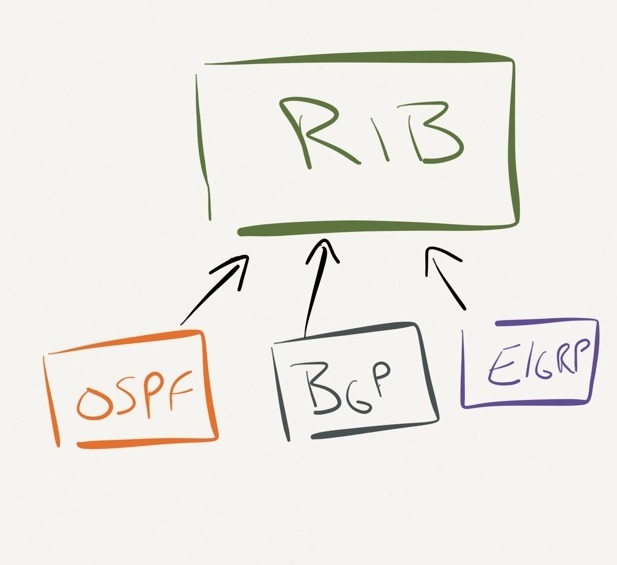 In the image below you can see how each protocol presents itself to the routing table (RIB). The RIB uses AD to determine which route to install. But what about how the protocol chooses which route to present to the RIB?